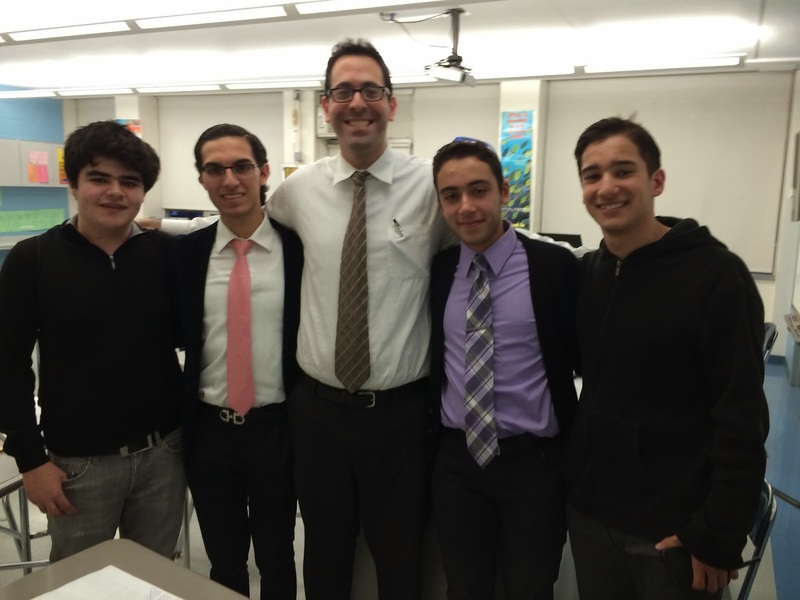 Last Thursday, March 19, 2015, we had our first round of the Moot Court Competition, led by Mr. Kweller. Twelve teams of three people in each team signed up for the event. Food was provided before the competition and all the teams were assigned a room. Each team was given a case, and a coin was tossed to determine who would take the plaintiff and who would take the defense. The teams, composed of a lawyer, a witness, and a researcher, had 15 minutes to prepare the case. The judges were each given a score sheet with which the teams were graded on. The judges were Morris Nadjar, Johnny Fuzailov, Elie Cohen, Elliot Zakay, David Idy, Raymond Braha, and Leor Alkadaa. It was a fierce competition as every team fought and defended their case. 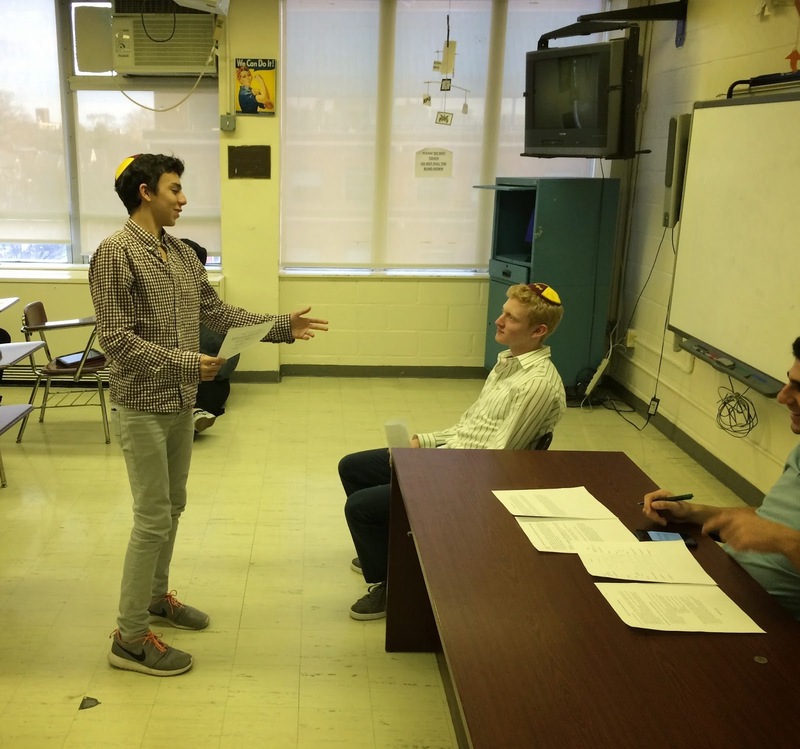 Points were awarded for opening and closing statements by the lawyers, direct and cross answers by the witnesses and the use of objections by each side. Four out of the twelve teams advanced to the next round, which was held on Wednesday, March 25, 2015. This round became a little complicated as the pizza pies didn't arrive on time and we had to start the round with empty stomachs. The judges for this round were Morris Nadjar and Leor Alkadaa. The case for the second round was different than the first round, yet more interesting; the case was labeled "Hazita v. Railroad" which was a case that railroad guards were sued by Ms. Helen Hazita for being negligent while helping Mr. John Firecracker on to the train car from the railroad tracks as a big package of fireworks fell from Mr. Firecracker's hands and exploded injuring Ms. Hazita on the other side of the platform. It was a tough case for both sides, and both sides brought up legal terms and laws from history like the Good Samaritan Law.